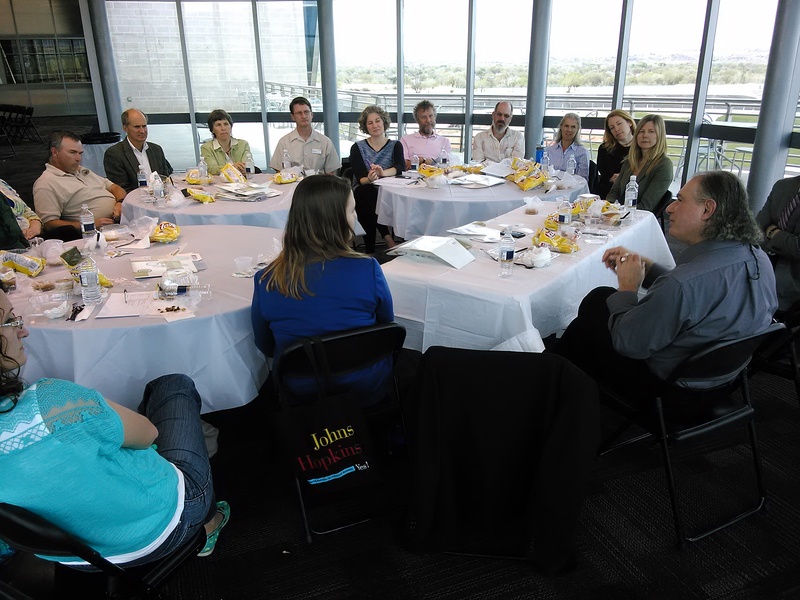 Dr. John Falk joins twenty NM ISE Net members for a luncheon prior to his presentation. Photo by Charlie Walter. 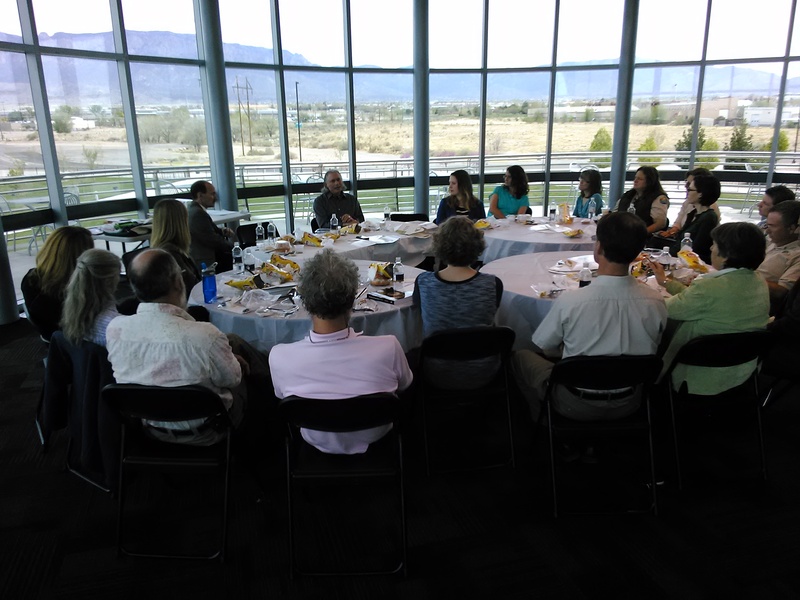 On April 11, 2014, John Falk, Sea Grant Professor of Free-Choice Learning at Oregon State University and Director of the OSU Center for Research on Lifelong STEM Learning, spoke to the New Mexico Informal Science Education Network (NM ISE Net) as part of a SENCER-ISE funded initiative. Dr. Falk presented an overview of what is currently known about when, why and where the public learns science, and shared the results from a variety of recent large-scale investigations of science learning to document the significant role that informal educational experiences have in building a scientifically-informed public. John Falk Speaks to seventy-five members of the informal science and higher education communities. Photo by Charlie Walter. Two additional national speakers will come to New Mexico as part of this SENCER-ISE project: James Bell, Director of the Center for the Advancement of Informal Science Education and Mark St. John, President of Inverness Research Associates (dates have not been set for these talks yet). The goal of these sessions is to build capacity of the network members though dialogue with national thought leaders in informal science and learning research. 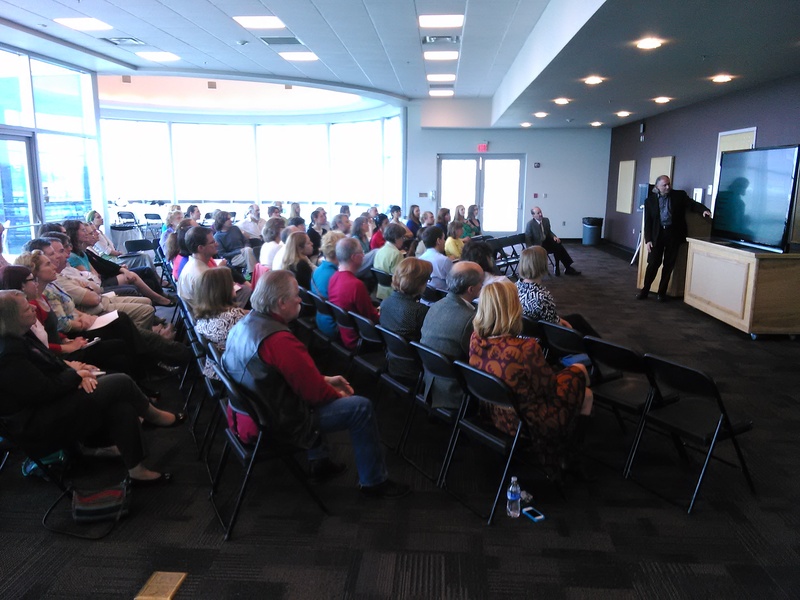 To watch a recording of Dr. Falk’s April 11th presentation, click here. Posted in New Mexico EPSCoR & New Mexico Museum of Natural History and Science, Partnerships.